Castle: season six AND seven renewal? While lots of shows are being cancelled, things are looking extra good for the cast and crew of Castle. According to Deadline, ABC is considering renewing the show for two more years — through season seven. The ratings for season five are down when compared to season four. Currently the show’s averaging a 2.0 in the 18-49 demo with 10.18 million viewers vs last season’s 2.3 rating and 10.71 million. Still, Castle is the network’s most-watched drama and is fifth in the demo (behind Grey’s Anatomy, Once Upon a Time, Scandal, and Revenge). Unless there was some problem with contracts, it was a shoe-in to be renewed for season six. 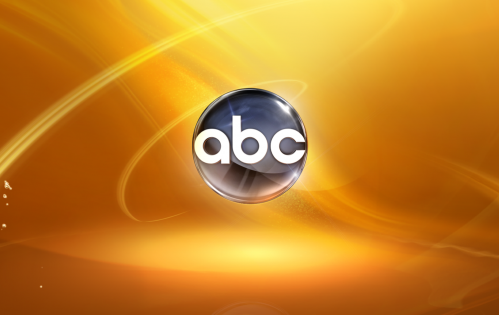 ABC will present their new 2013-14 schedule to advertisers next Tuesday morning but we should know about cancellations and renewals before that. What do you think? Should ABC renew Castle for two years or should they take it one season at a time? Is the show still worth watching? I Love Castle but with out Kate I will not see lt.
so many shows die when there are still die hard fans, Let’s keep this one going. It’s amazing, I have watched from the beginning and am still excited to see it every time it’s on. KEEP CASTLE ON! I am a huge fan of Castle! My sister and I stumbled across an episode 2 years ago and we were hooked. I would love if it continued onto a 7th sesason. It can’t end the way it did. Please bring it back! I began watching this show in California and really enjoyed it. I have now brought the box set 1 – 6 . You must continue with this excellent programme, even if it’s just to Kate And Rick get married Hopefully, you will see the benefits if you extend the series. ACTORS HELPING THE STORY ALONG. PLEASE DON’T CANCEL!! I love this show but it can’t end like it did before the wedding. I am watching TVOs. Please bring back for the next season. castle is the best how ever. I hope the bring it back for the 7 season. I have the other seaons on dvd and never get tierd of watching them. Castle is by far the best show I have seen in awhile I watch the reruns on TNT everyday as well as the new ones on abc and if I miss them I record them to watch them later. The relationship with detective Beckett and castle is extremely funny and always leaves you wanting more and wondering were the road will take them. I WATCH CASTLE FROM AFTERNOON TO BEDTIME. IT IS SO GOOD AND HE IS SO FUNNY. WANT TO SEE HIM AND KATE GET MARRIED. PLEASE KEEP IT ON. I definanlty think it should be renewed. I have just recently started watching and now not only can’t wait to see more new episodes but also want to watch it from the begining.